This lovely semi-detached house is well kept inside and out. There are 3 bedrooms, each with twin beds, and it is decorated to a high standard throughout. All linens and towels will be provided. There is a separate well-equipped kitchen available for guest use, as well as a reasonable sizedmain bathroom that offers all of the essentials, including an electric shower. There is also a large cozy living room, complete with a comfortable sofa bed, everything you need to relax after a long day of work or play. 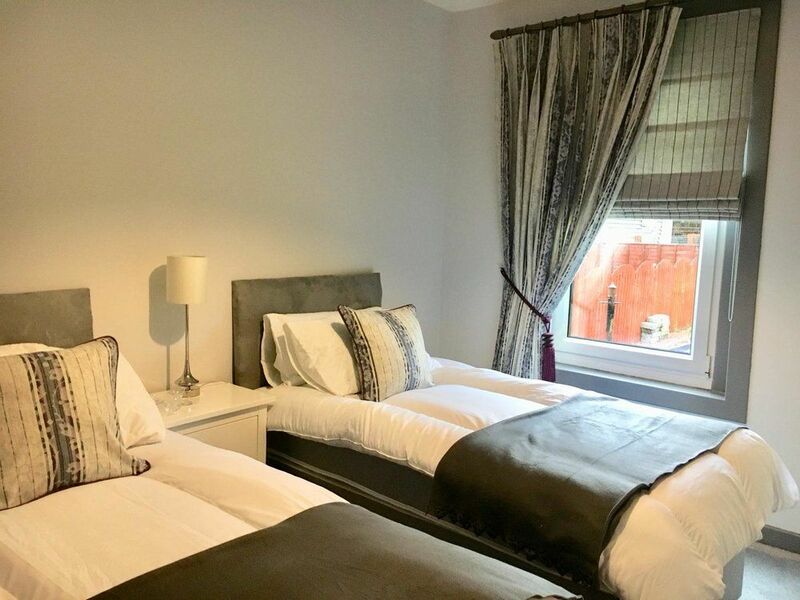 The apartment is situated in a great location and is just a short drive from the centre of Hamilton, where you will find favourite eateries such as Nandos and Frankie and Benny's, as well as the Vue Cinema. If you want to venture a little further afield, TheHub at East Kilbride Shopping centreis under 20 minutes drive away, boasting restaurants such as The Filling Station, Pizza Express, Bella Italia and Chiquitos, as well as the popular Odeon Luxe Cinema, which comes highly recommended. There are great transport links right on your doorstep with Hamilton West Train Station only 20 minutes walk away.